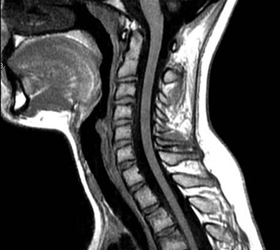 Studies have repeatedly demonstrated over the years that herniated or protruded cervical discs found with MRI or CT scan, especially at C-5 C-6, are so widespread in the pain-free population, that it can be regarded as a normal finding. It is important for both doctors and patients to realize this because when there is pain in the cervical spine, and a herniated disc is found, it doesn't mean the cause of the pain has been determined. Muscles move bones. 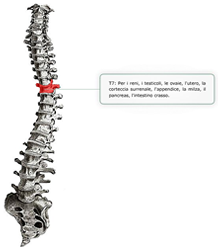 In order to keep vertebral column properly aligned, it is essential that muscle tension be balanced in all directions: front to back, inferior to superior, right to left. When muscles of the neck become tight or unbalanced, vertebrae become misaligned, and joint motion becomes aberrant and / or restricted. This in turn creates unequal pressure upon discs and can speed up the process of normal wear and tear. Dr. Morrison corrects unequal muscle tension with various forms of manual therapy. Once muscular symmetry has been created, the objective then is to align vertebrae with precise manipulation. The net effect is lasting pain relief, and long-term prevention against arthritis and disc degeneration. When indicated, dietary counsel and nutritional supplementation is also provided in order to prevent recurrence and maintain wellness.